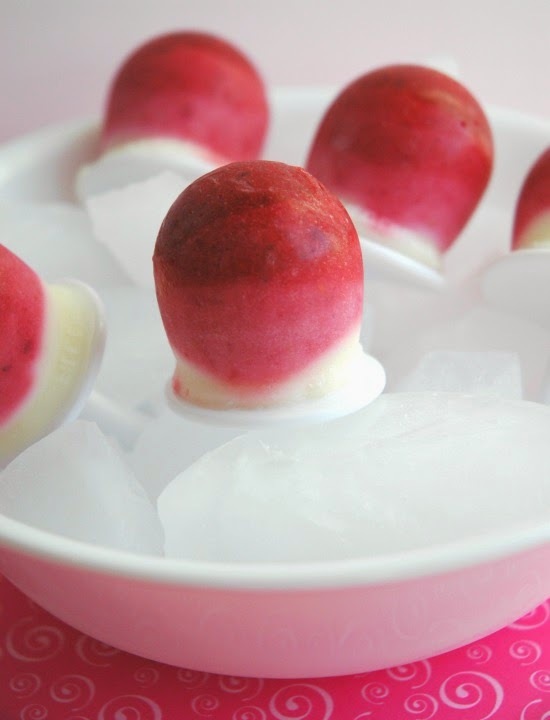 These little popsicles couldn't be easier to make-- or yummier to eat! Instead of loading up your kids with candy and sugary treats for Valentine's Day, try this healthy fruit and yogurt snack instead. 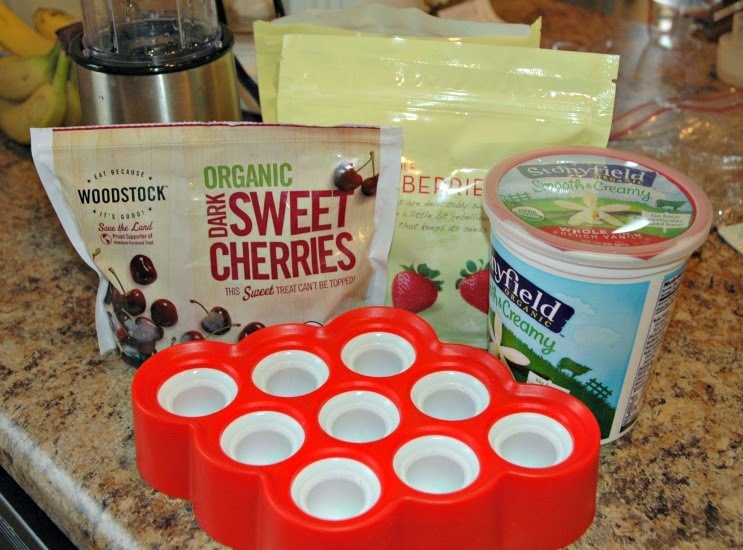 All you need is frozen red fruit (we used cherries, strawberries, and raspberries), some plain or vanilla yogurt, a mini blender, and popsicle molds (I LOVE our Mini Pop Mold from Zoku). Start by thawing some fruit so that it will blend easily. I filled a 1 cup glass measuring cup with frozen fruit and popped it in the microwave for about a minute. Our popsicle mold makes tiny popsicles, so we didn't need a lot of pureed fruit. Larger popsicle molds would (obviously) require more fruit. Puree the thawed fruit. Add a thin first layer of fruit to your popsicle molds. Next you'll add just a bit of yogurt to the puree, so that the color starts to fade to pink. Add a layer of this lighter colored puree to your popsicle molds. 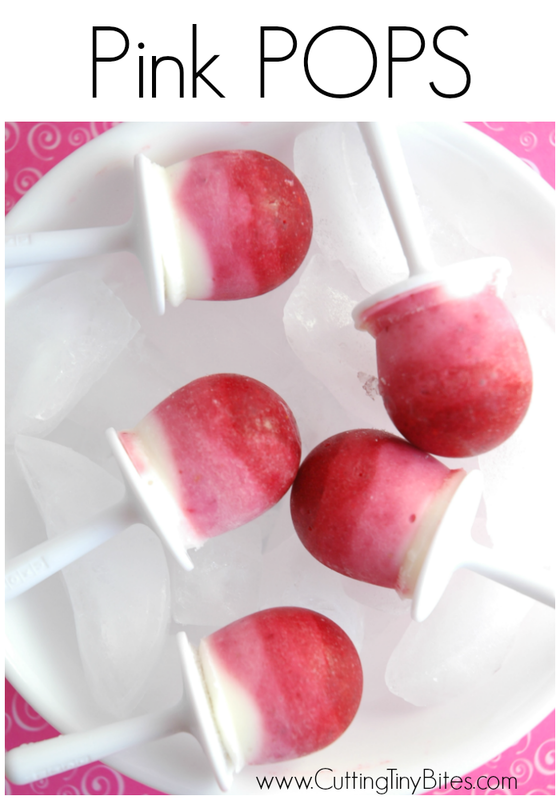 Continue adding more yogurt (fading the color) and more layers, so that your popsicles have a pretty gradient from red or dark pink down to light pink. I was able to fit in about 4 layers of progressively lighter pink, and then a final plain white layer of yogurt. You may be able to add more layers depending on the size of your popsicle mold. 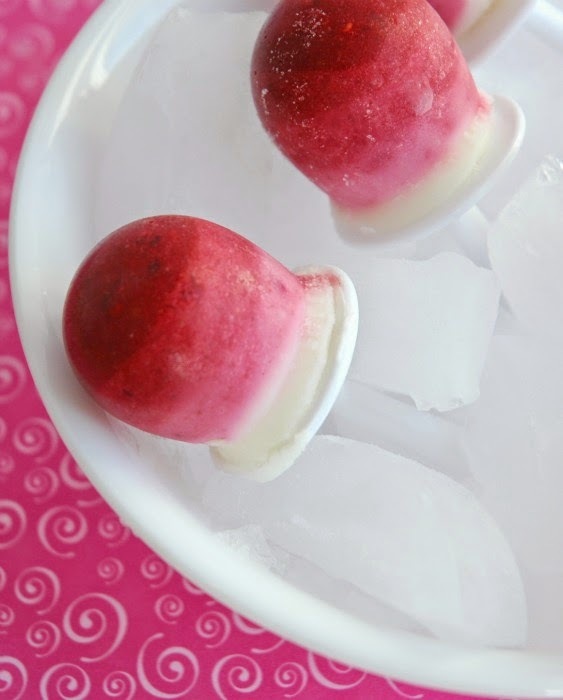 Put them in the freezer, then let your kiddos enjoy a perfectly pink Valentine's Day treat. Pink POPS. 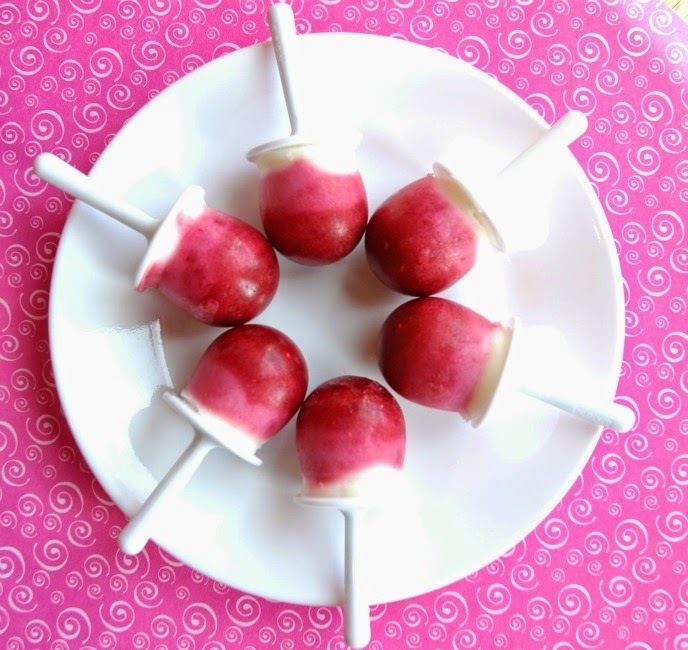 Healthy and simple Valentine's Day popsicle treat or snack for kids.